This is a recipe I came across while looking for a way to use a new bottle of McCormick Smoky Sweet Pepper Blend. McCormick says: Flavorful and versatile, our signature Smoky Sweet Pepper Blend will inspire creativity in your cooking. Among the recipes I found at McCormick.com, this one stood out for a few reasons: family-friendly ingredients, on-hand ingredients and easy was in the recipe’s name. So, to begin with, I chopped some onion then cooked and stirred it in heated oil. Just one Tablespoon of olive oil and 1/2 Cup onion is needed. Easy, right?! Then I added the rice and Seasoning, stirred it all up and cooked for a couple minutes. 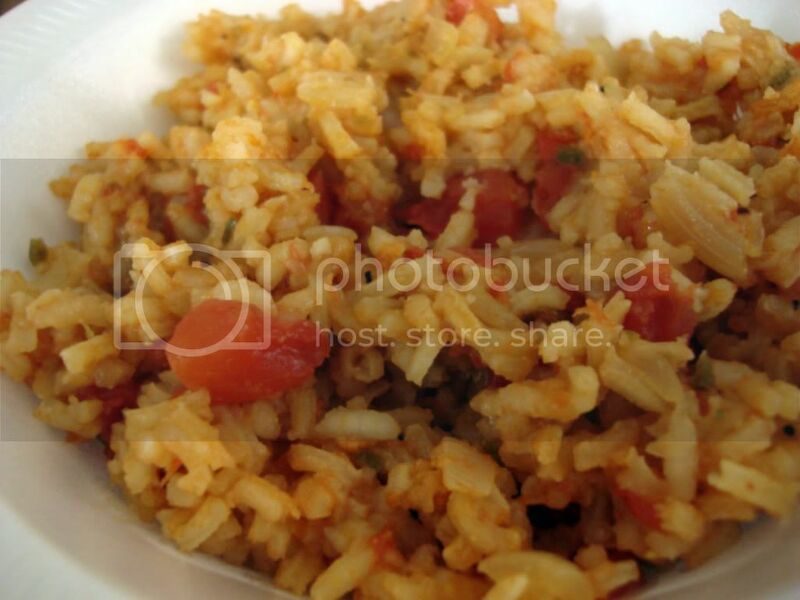 True, it wasn’t difficult, but surely Easy Spanish Rice cannot qualify as a time saver or anything of that nature because once I was done watching the simmering pot for 15 minutes, I stirred in diced tomatoes and simmered for another 8-10 minutes. Heat oil in large skillet on medium heat. 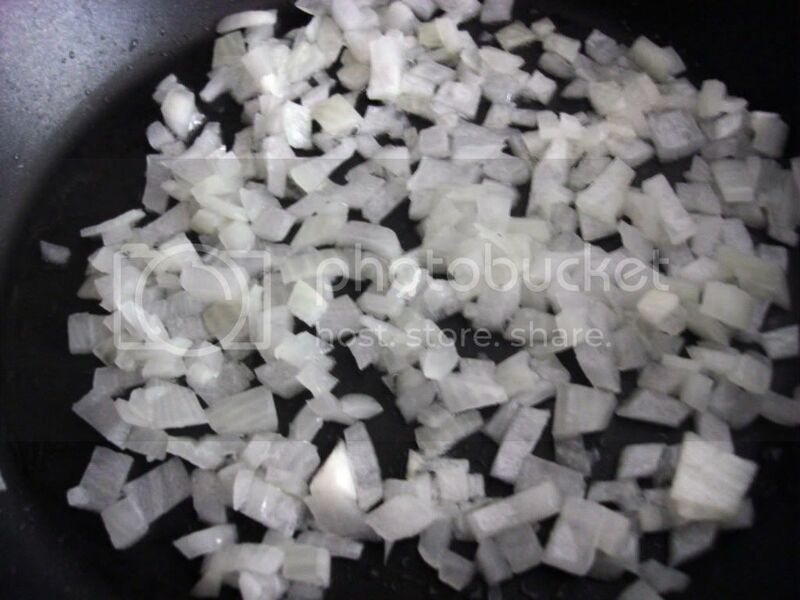 Add onion, cook and stir 2 minutes or until softened. 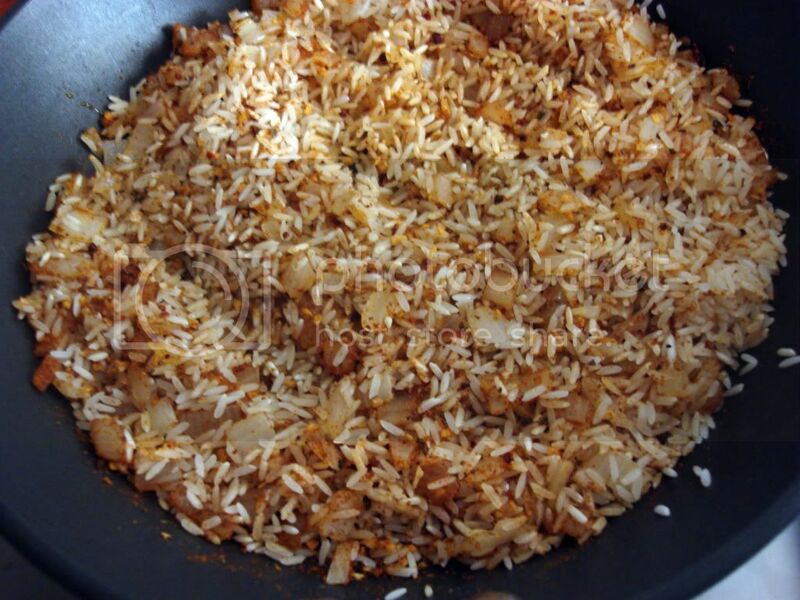 Add rice and Seasoning; cook and stire 2 minutes. Stir in broth. Bring to a boil. Reduce heat to low; cover and simmer 15 minutes. Cover and simmer 8-10 minutes or until rice is tender and liquid is absorbed. Not what I was hoping for. Everything was a little mushier than I had imagined. The rice ended up a bit clumpy and everything else was just…regular. This was a bland tasting Spanish Rice regardless of the use of Smoky Sweet Pepper Blend. I didn’t dislike the rice, but it was not worth the time used to prepare it. I could have made something much better in 25 minutes. 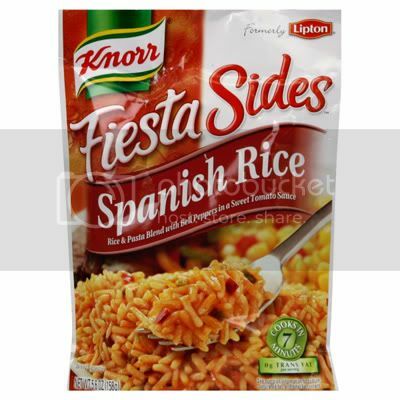 I can get the same taste from a package of Knorr Spanish Rice and it cooks in just 7 minutes. Last thought – McCormick Smoky Sweet Pepper Blend is awesome to shake on refried beans during heating. It adds extra flavor that wouldn’t have been there otherwise. I guess that’s where the rest of my bottle will go.